Home Resources How do metal detectors work? Possibly nowhere is product integrity more important than in food and beverage production or the pharmaceutical and medical manufacturing process. As well as continuous improvement teams, technical and quality personnel are constantly looking for ways to reduce ‘foreign body’ and contamination risks. With metal being one of the most frequent offenders, leading food and pharmaceutical manufacturers have for a long time used specialist metal detectors to control this risk. A simplified look at how metal detection works for food and pharmaceutical applications. The most common metal detectors are based on a balanced coil design. This involves passing the product through three coils. 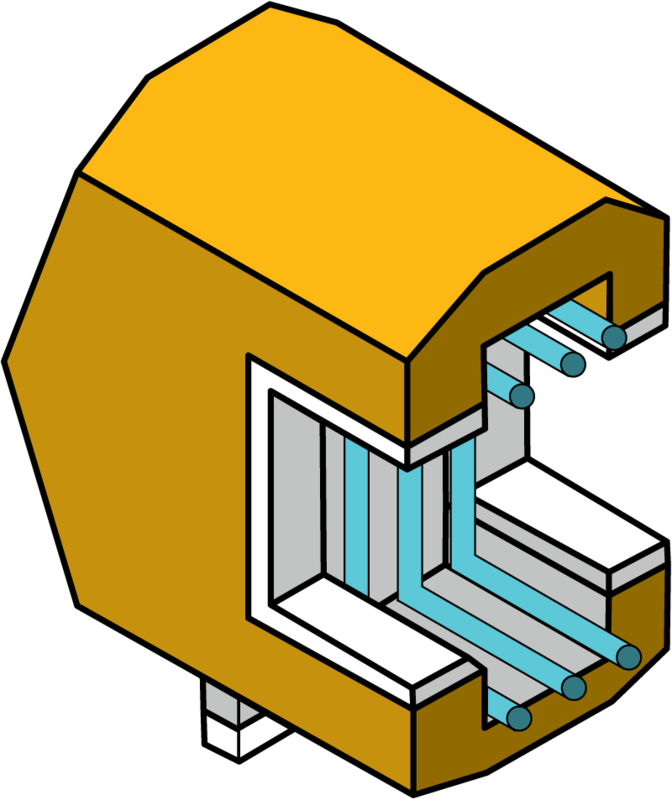 The middle coil acts as the transmitter by using an electrical current to create a magnetic field. The transmitter induces a current in the other two coils, which are spaced equidistant from the middle coil. The outside coils act as receivers. The induced current of the first and third coil cancel each other as they are wound in opposite directions. This is known as a “balanced” system. This arrangement creates an electro-magnetic field. The product to be tested passes through the middle. When something metallic passes through the coil arrangement, it disturbs the magnetic field and creates an electronic signal which metal detectors can use to raise the alarm.